A 44-year-old man has been arrested in the slaying of two Mississippi nuns — but police have yet to discern a motive for the grisly crime. 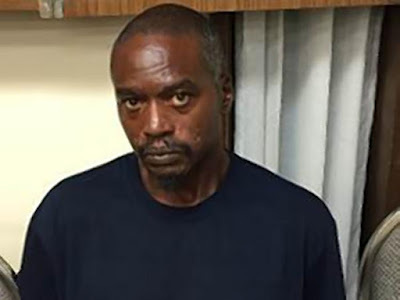 According to Daily News, Rodney Earl Sanders, 46, was charged with two counts of capital murder late Friday for allegedly stabbing Sister Paula Merrill and Sister Margaret Held to death in their Durant home Thursday. "We mainly wanted to make sure everyone knew that this individual was off the streets," Mississippi Department of Public Safety spokesman Warren Strain told the Daily News. Sanders was arrested without incident and is believed to have acted alone, Strain said, refusing to reveal any further information about the arrest. A blue Toyota Corolla missing from the nuns' driveway was found about a mile from their house but detectives said it was too early to know if the murders were resultant of a robbery gone wrong. Investigators were scouring the recovered vehicle for evidence and autopsies for the two nuns were pending early Friday, Strain said. Merrill and Held — both 68 — were discovered in their home with stab wounds during a welfare check Thursday morning. They were known as very punctual and when they didn't show up to work at the Lexington Medical Clinic, their colleagues feared the worst and contacted the police.